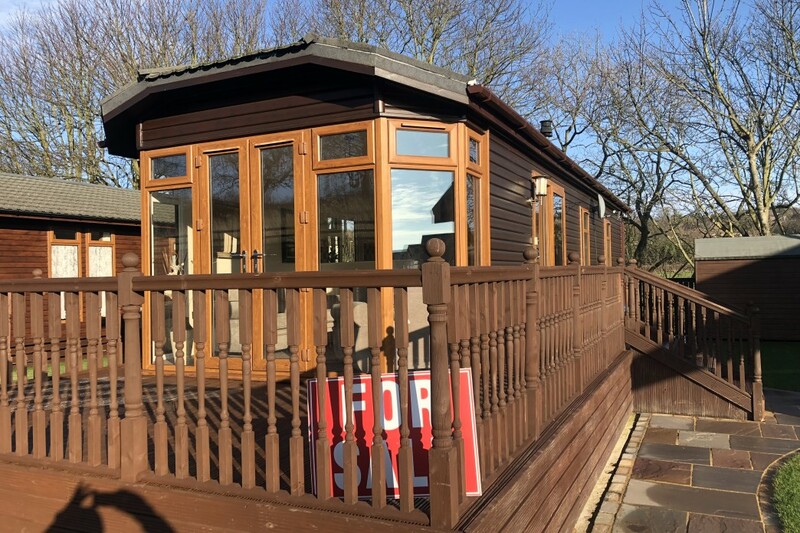 This stunning purpose built detached park lodge at Spring Valley Park has amazing views right from all sides of the lodge. It features a luxurious spacious open plan living design offering 2 double bedrooms with the master bedroom having a W.C. 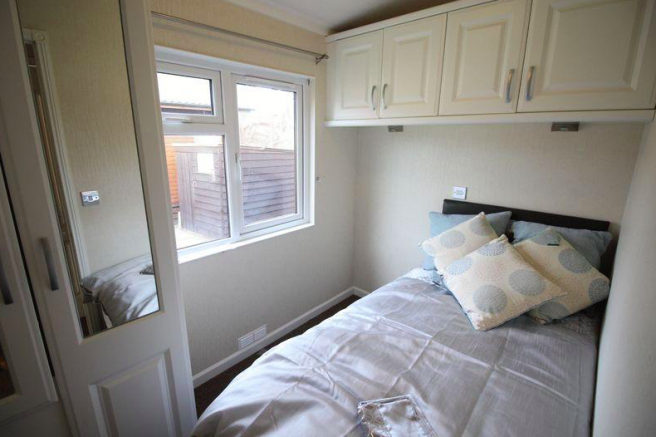 There is gas heating provided by bottled gas, UPVC double glazing and off street parking to the side as well as a small decked area. 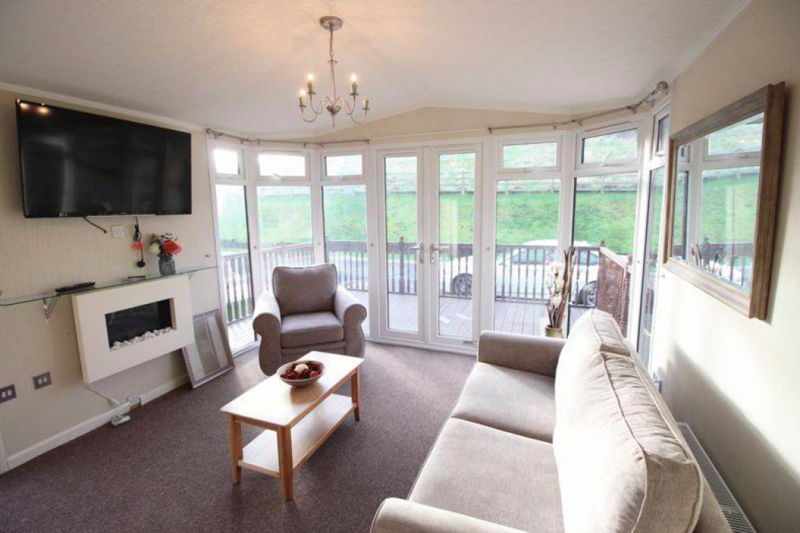 The accommodation itself briefly comprises: Double glazed entrance door to the feature open plan living area with fitted breakfast kitchen with a range of modern integrated appliances and generous lounge and dining area with patio doors leading out to the decked balcony. 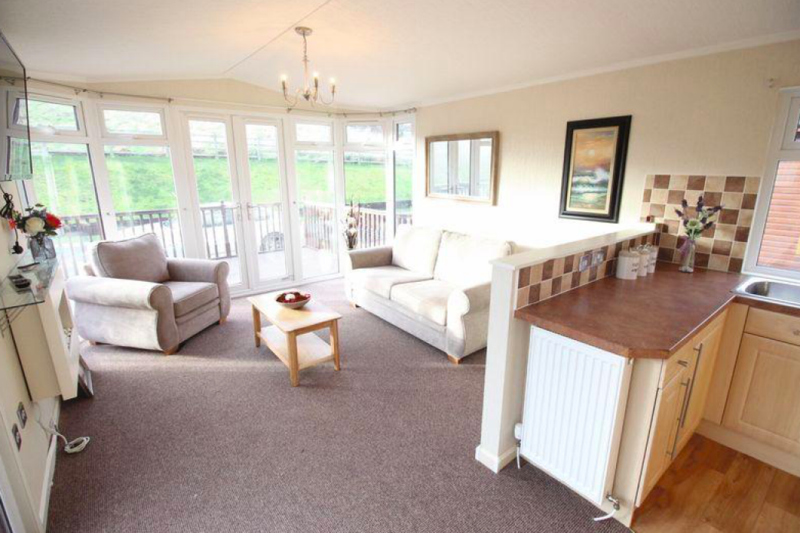 Both the living room and balcony both benefit from the superb open aspect views. There are two bedrooms to the lodge, with the master benefitting from a separate w.c. There is also a shower room. 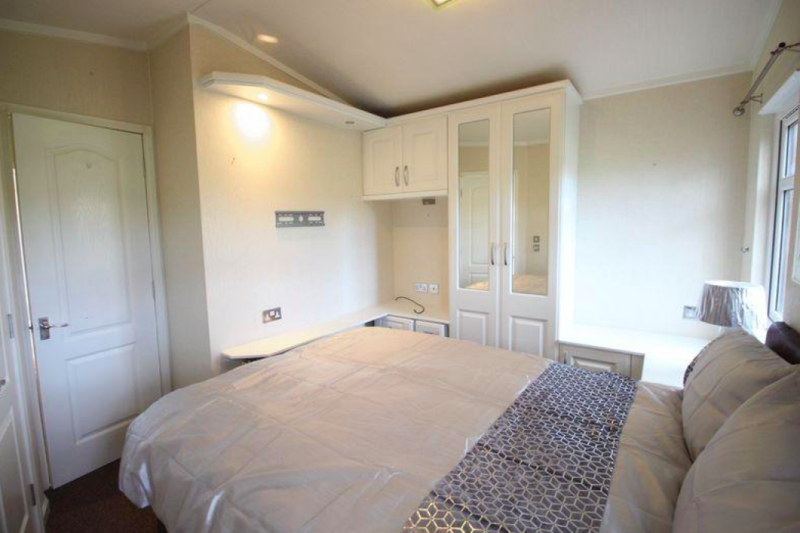 Decorated to a very high standard with a modern, neutral, fresh finish and feel throughout Spring Valley Park was originally a holiday park but gained residential status this year and accordingly is classed a relevant protected site designed for the over 50s. Situated off Lightfoot Road/Sandybed lane and benefits from quite delightful and surprisingly far reaching views. Accessed by way of a private road with no 7 being on the right-hand side. Shops and facilities can be found at Falsgrave about 2 miles away with the town centre and railway station a little further. Offered with NO ONWARD CHAIN internal viewing is highly recommended to fully appreciate the space, setting, finish and views on offer from this well-presented home. 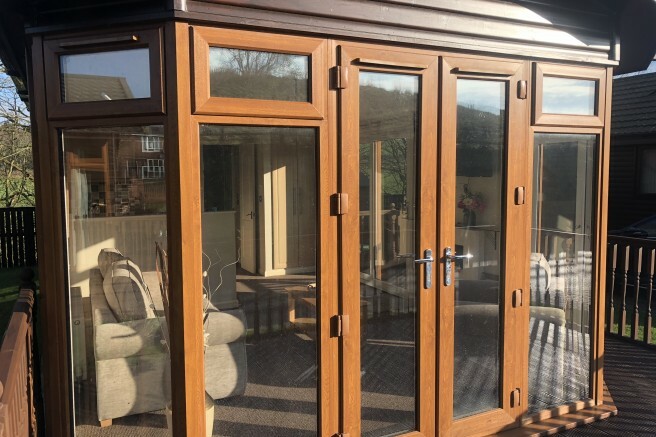 16' 9'' x 11' 10'' (5.10m x 3.60m) Double glazed windows to front and side, double doors to front leading onto wrap around balcony, entrance door to side, marble effect stone fireplace. 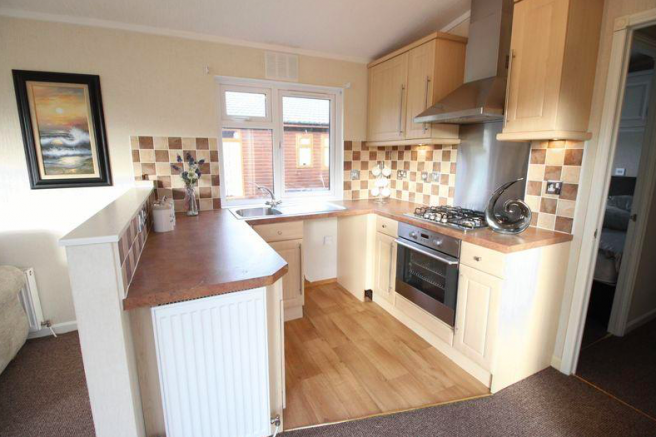 8' 8'' x 7' 9'' (2.64m x 2.36m) Range of fitted wall and base units with work surfaces over plus integral appliances including an electric oven with gas hob and extractor over, stainless steel single bowl sink, double glazed window to side. 11' 10'' x 10' 2'' (3.60m x 3.10m) Two double glazed windows to rear, access to. 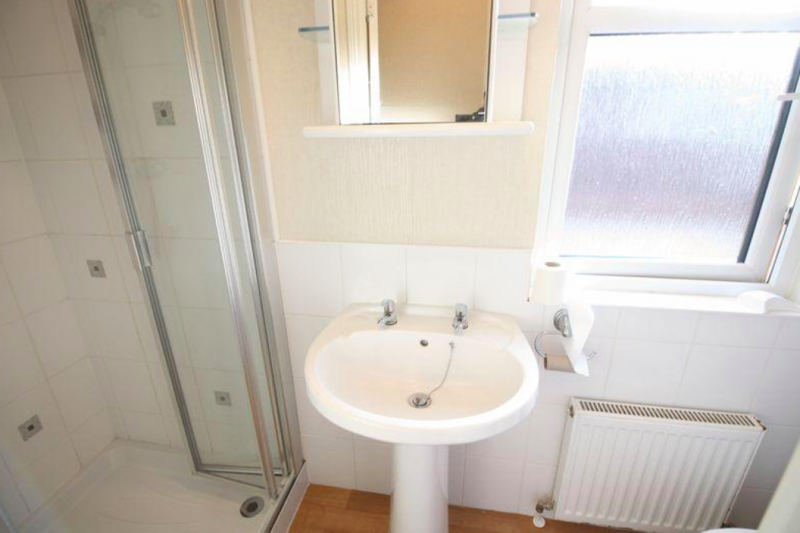 Comprising of part tiled walls, a low level w.c and wash hand basin, double glazed window to side. 9' 3'' x 6' 0'' (2.82m x 1.83m) Double glazed window to side. Part tiled walls, three-piece suite comprising of low level w.c, wash hand basin and freestanding shower cubicle, double glazed window to side. There is a private decked area wrapping around the lodge plus a parking space to the side.